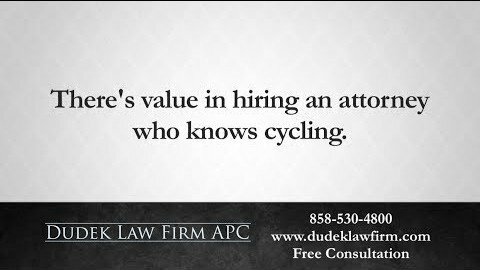 Dudek Law Firm APC includes as part of its mission the constant effort to build users’ trust and confidence in the Internet by promoting principles of fair information practices. If you have questions or concerns regarding this statement, please contact us: click here. 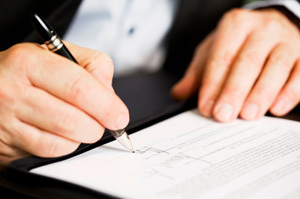 The information we gather is similar to other personal injury lawyers. 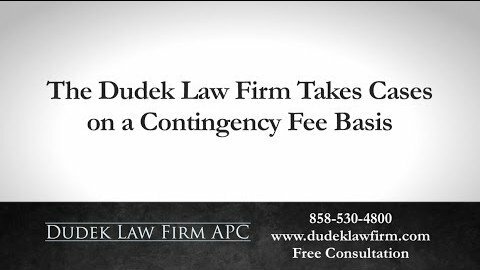 The Dudek Law Firm APC site uses online forms for users to request information, demos and announcements about Dudek Law Firm APC solutions and services. When you fill out these forms, you may be asked to provide personal information such as name, address, email and phone number. 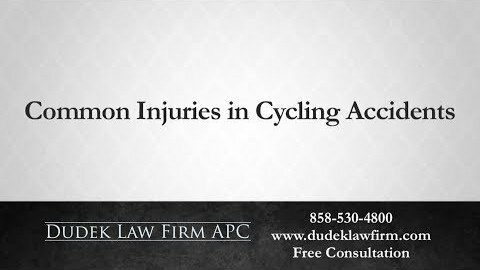 This information will only be used by a San Diego personal injury attorney at Dudek Law Firm APC to contact you in regard to your specific request. One exception is the “Send Site to a Friend” feature. The Send Site to a Friend feature of the website sends a copy of your email and contact information to the company that built and maintains this website, which uses the information for market research and abuse monitoring. The information is kept indefinitely. The information gathered is not used in any other ways and is not shared with third parties. 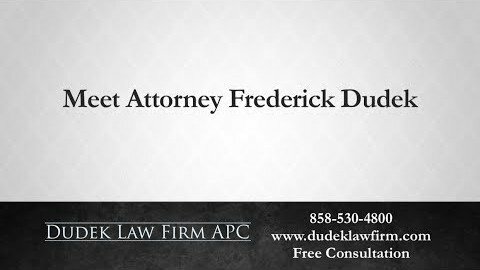 The Dudek Law Firm APC website is not directed at children under 13 years of age, and children under 13 years of age should not use the website or services offered by this site to submit any identifiable information about themselves. Dudek Law Firm APC uses a feature of your browser called a “cookie” to assign a “User-ID.” Cookies by themselves cannot be used to determine the identity of any user. Your User-ID automatically identifies your computer – but not you – to our servers when you visit our site. Unless you specifically tell us, Dudek Law Firm APC will never know who you are, even though we assign your computer a cookie. 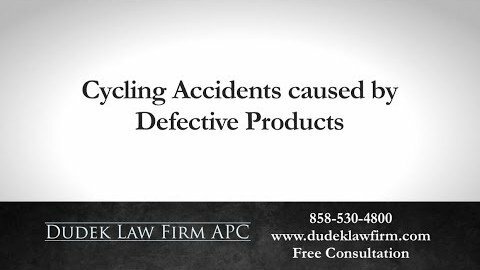 Dudek Law Firm APC uses anonymous data gathered in our website’s log files, such as IP addresses, to help diagnose problems with our server and to administer our website. 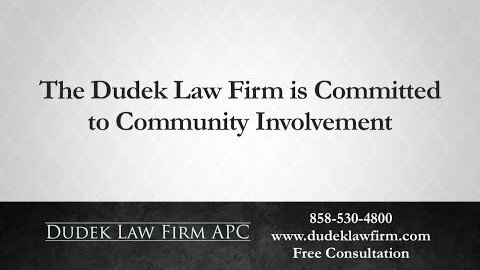 With the exception of the “Send Site to a Friend” feature, the information gathered on the site is treated as Dudek Law Firm APC internal information and is not shared with anybody outside of Dudek Law Firm APC. Dudek Law Firm APC will never willfully disclose personally identifiable information collected on its website to any third party, without that person’s permission (again, an exception is made for the “Send Site to a Friend” feature). 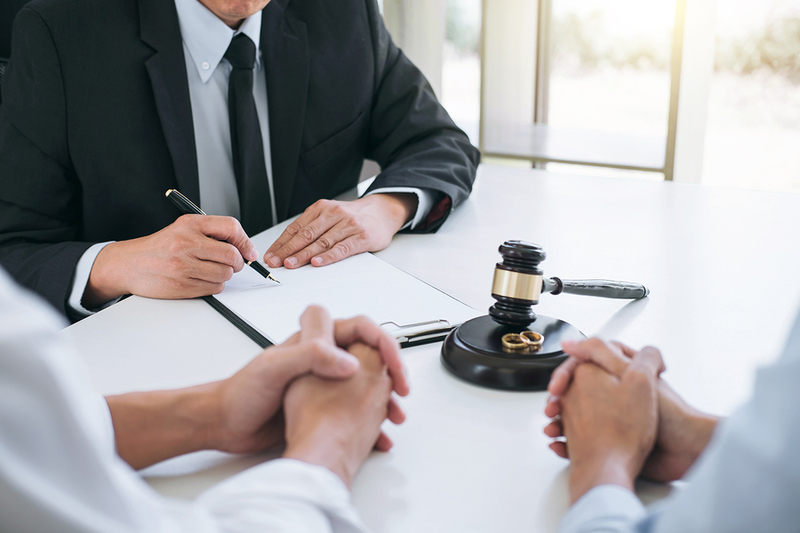 The site provides users the opportunity to opt out of submitting personal information to Dudek Law Firm APC at the point where Dudek Law Firm APC requests information about the visitor. 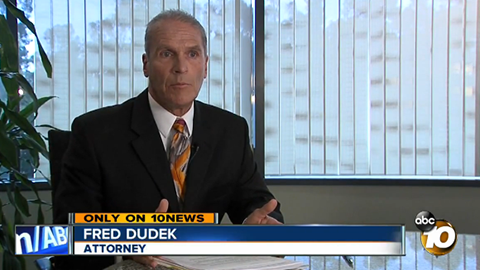 You can always decline to provide personal information to Dudek Law Firm APC. You are in control of how Dudek Law Firm APC employs cookies. 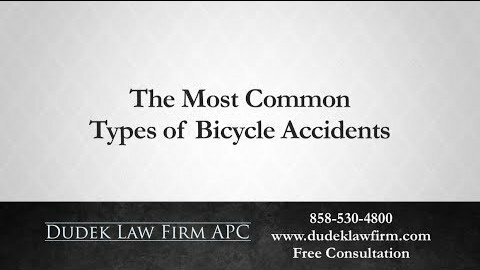 You can prevent Dudek Law Firm APC from establishing a unique User-ID. You can do this by choosing to disable or be notified about cookies. 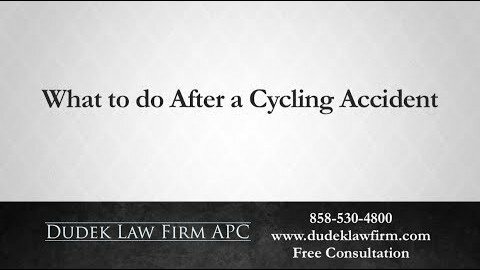 Dudek Law Firm APC recommends that you visit either Mozilla or Microsoft’s cookie FAQs to do this. 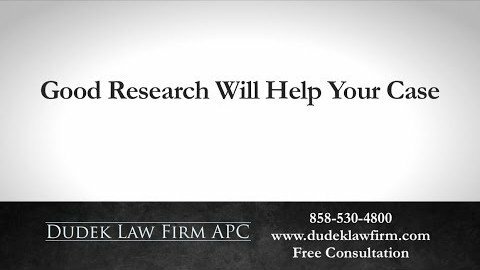 If you want to have your personal information changed or deleted from the Dudek Law Firm APC database, please contact us: click here. Note that emails sent using the “Send Site to a Friend” feature will not be deleted.